KJL Solicitors offer advice in the complex and fast changing fields of Employment Law, Commercial and Company Law and legal representation in Civil and Commercial Litigation. We regularly provide advice and litigate in the fields of intellectual property and shipping. We have welcomed licensing, contract and construction experts to our team and as a highstreet practice we also deal comprehensively with residential property, wills, probate, lasting powers of attorney, divorce and all forms of alternative dispute resolution processes, (ADR). Based just off the A47 to the east of Norwich, with a wealth of knowledge, clients needs are dealt with by our solicitors using sound and strategic commercial considerations. Resolutions are reached quickly, pragmatically and at the lowest possible cost to you. Our solicitors with their London based experience are practical and tactical whilst remaining commercially realistic. Come and visit us at our offices just outside of Norwich in Blofield. Relax and discover how KJL Solicitors can meet the needs of you, your family, your business and all your future planning. 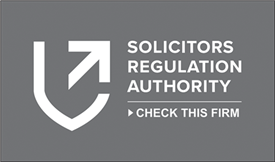 Specialist Solicitors in Employment Law, Commercial and Company Law, Civil and Commercial Litigation, Alternative Dispute Resolution, Property, Divorce, Intellectual Property, Shipping, Contract and Consumer Law. We hold the excellent quality mark with the Law Society for Conveyancing and Civil and Commercial Mediation.